Hey all, I have a couple cards for you today using stamps from Sweet 'n Sassy Stamps. My first card is using Harvest Blessings, I love this little stamp set and you can get it right now for half price, yep, that is $4.95 folks, hop on over to the store and get yours. I used watercolors on mine and the paper is from DCWV. 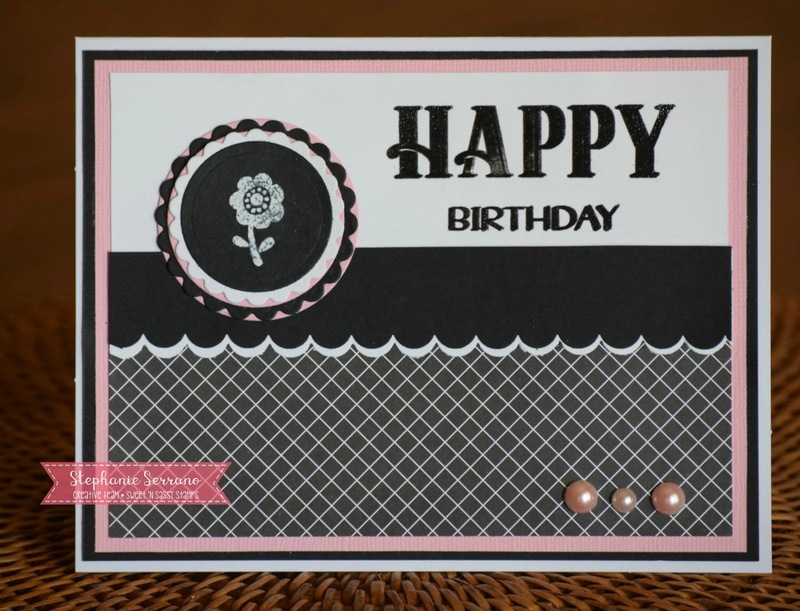 My next card is using stamps from our Free Birthday Celebration stamp set called So Happy and yes, you can get this set free with a $50 purchase. It is such a versatile little set. Have you been keeping up with all the excitement so far this month? 10 years is a BIG DEAL! Make sure you check out the Birthday celebration link HERE and also keep an eye on our Facebook and Instagram pages for all the fun surprises we have for you. 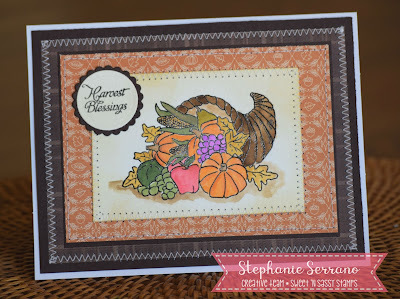 It's a great Autumnal image, thank you so much for sharing your lovely card with us at Allsorts challenge this week. Really lovely card and lovely colours. Thank you for joining our 'Colours of Autumn' challenge this week at Allsorts.